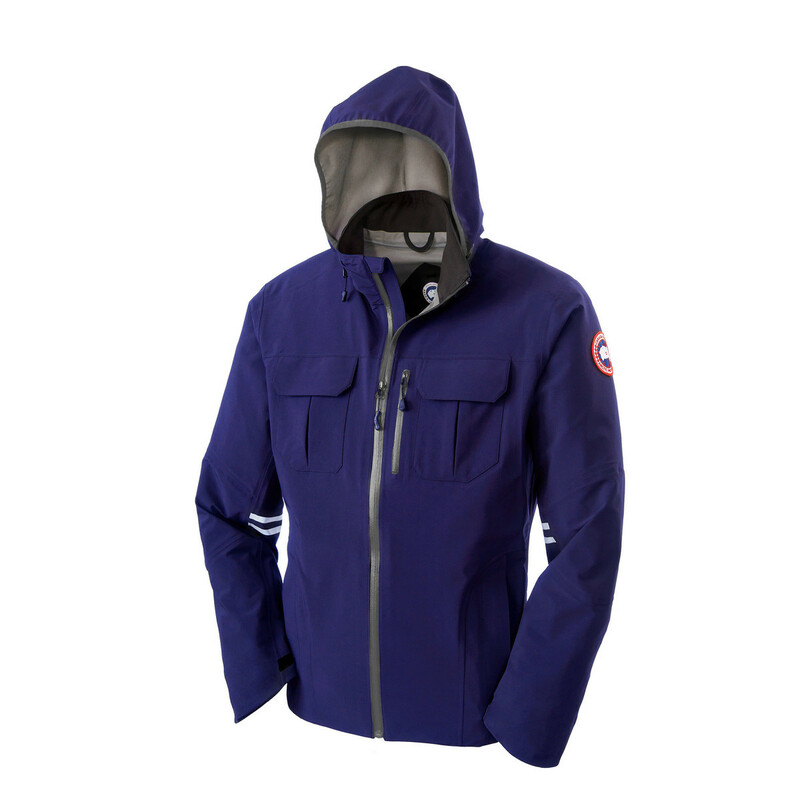 Whether you use the Canada Goose Men's Timber Shell as a lone layer when hiking through Washington's Hoh Rainforest or as an outer layer on a ski day at Mt. Hood, it will give you optimum protection against inclement weather during aerobic activities. 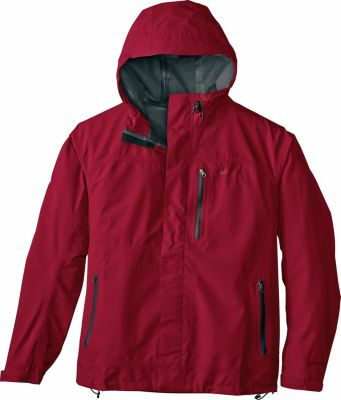 Durance laminated three-layer hardshell fabric with four-way stretch makes for a premium waterproof and breathable shell. 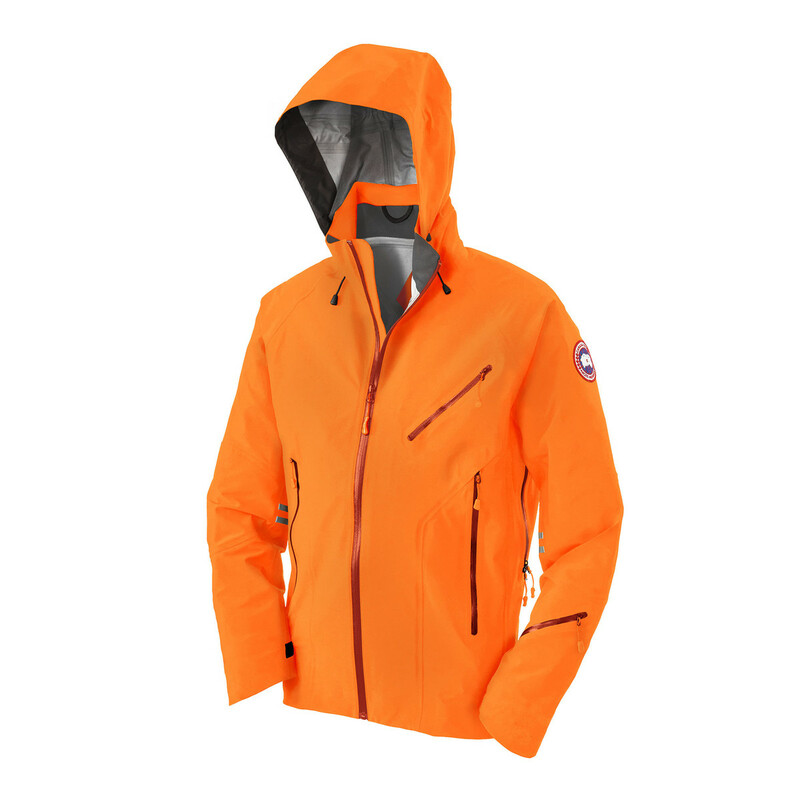 You'll stay extra-dry with the fully sealed seams and the waterproof YKK zippers on the center, main zip, the two hand zippers, underarm vents, left arm pocket, and left chest pocket. The Summit is cut at hip-length but there is a dropped tail in the back for more protection from the wind and cold. With a number of additional features, the Timber is a more tactical version of the Ridge Shell in Canada Goose's Technical Shells line. 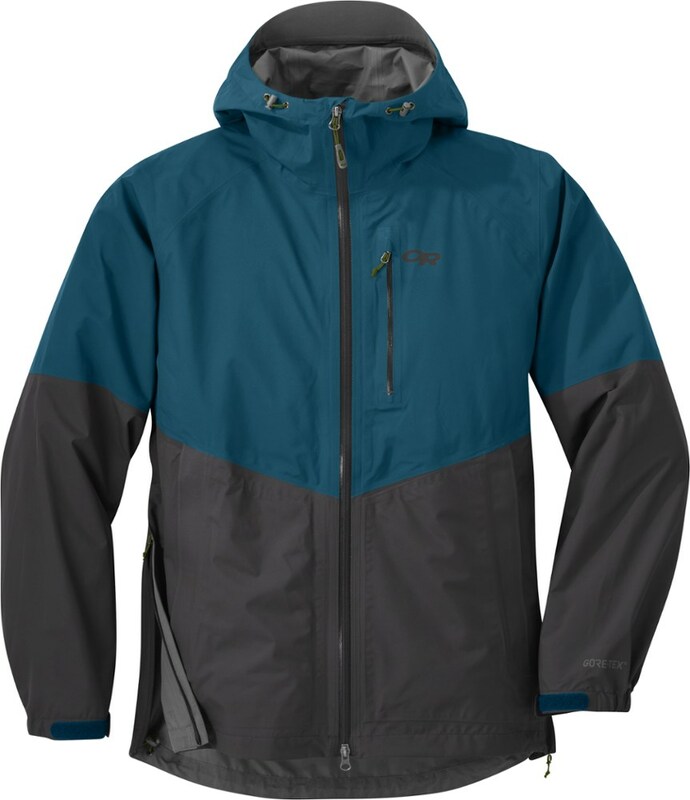 While you are marching through expert terrain, you don't want to fuss over adjusting your jacket, so the Timber has a three-way adjustable, helmet-compatible hood, and a single hand adjustable and elasticized hem draw for ease of use while in action. There are also adjustable cuffs for ease of movement. And you can then easily grab all the essentials you've stashed in the generous amount of pockets; beyond the ones previously mentioned, there's an inner security pocket with wire port and zip closure and an interior mesh panel pocket. Canada Goose slapped on some reflective tape for added visibility. 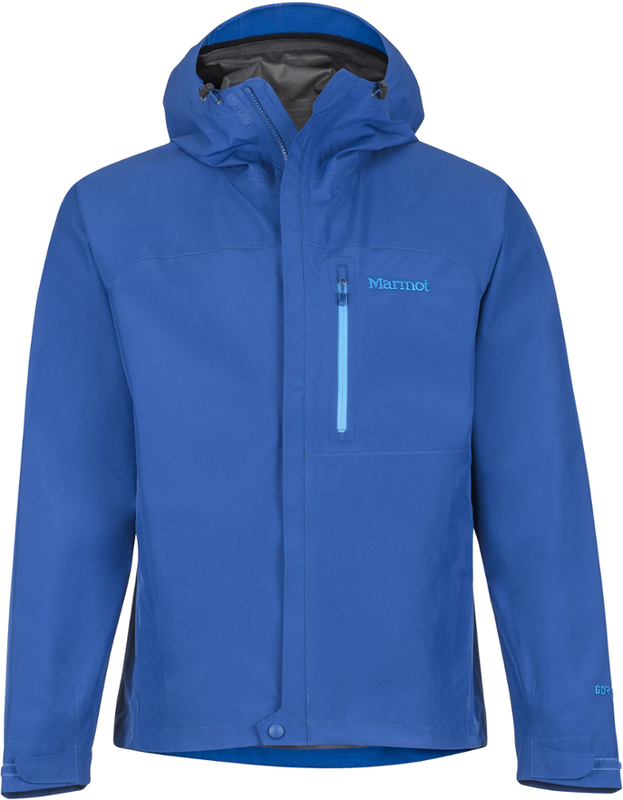 This is the optimal exterior layer by itself in mild, wet conditions or when combined with other insulated, weather-resistant layers in more extreme conditions. 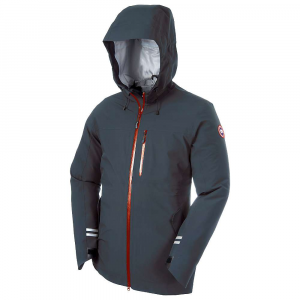 The Canada Goose Timber Shell Jacket is a more tactical version of the Ridge Shell, the Timber shell offers two hand pockets secured with YKK waterproof coil locket zippers and underarm YKK waterproof coil locking zippers for ventilation. 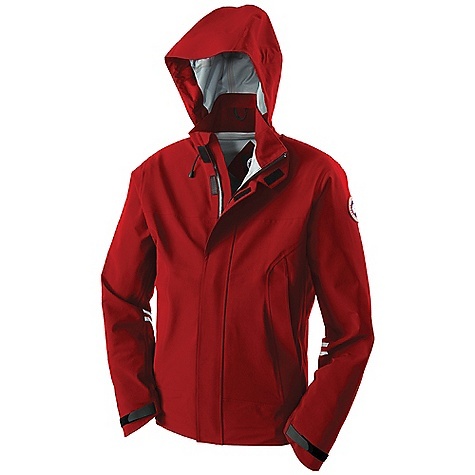 Perfect for the slopes, hiking or trail exploration.